Insomnia, which can be devastating to one’s physical and mental health, is far too common in our modern culture. With increasing acceptance of cannabis, it’s no surprise that growing numbers of Americans are ditching pills for cannabis. But, what does the scientific evidence say? 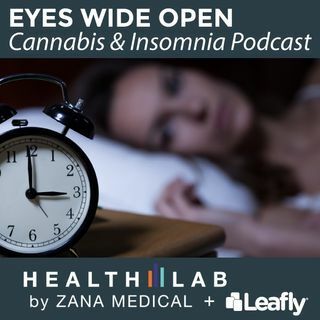 In this inaugural episode, we lay the foundation covering the essentials of cannabis and insomnia. Meet the patients, clinicians, and scientists featured in this series.